The Grand Island Chamber of Commerce, in conjunction with the University of Nebraska at Kearney, is pleased to offer the learning seminar, The Glass IS Half Full: Solution Focused Conflict Management on Tuesday, December 11th from 8:30 a.m. – 10:30 a.m.
Benjamin Franklin once said: “Every problem is an opportunity in disguise.” Even so, there is a temptation to rehash problems in hopes of understanding and solving the problem. However, such conversations foster anxiety and often result in further entrenchment in the problem-saturated narrative, leaving no workable solution. 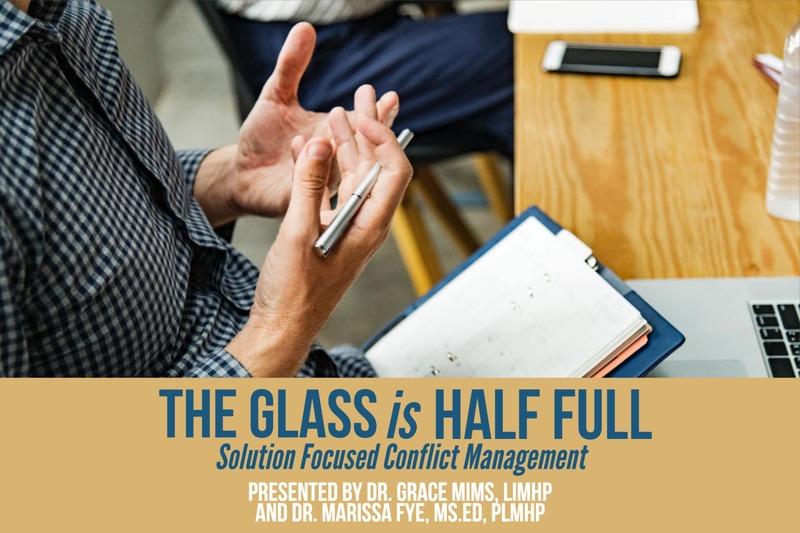 Dr. Grace Mims, LIMHP and Dr. Marissa Fye, MS.Ed, PLMHP, will introduce solution-focused conflict management as a more cost effective approach to overcoming challenges. Between the two of them, participants will gain a description of the solution-focused model and its background. This approach empowers employees to formulate their own plan for the future and ways to make them happen. Using the “Solution Focused Conversation Guide”, Mims and Fye will explore questions of motivating change that employers can use to facilitate conflict management in their own work settings. Dr. Grace Ann Mims is a Professor and Department Chair for the Counseling and School Psychology Department at the University of Nebraska at Kearney (UNK). In her 25 years as a Counselor Educator she has specialized in couples and family, group counseling, multicultural counseling, legal and ethical issues in counseling and clinical supervision. Dr. Marissa Fye is an Assistant Professor and School Counseling Program Coordinator for the Counseling and School Psychology Department at the University of Nebraska at Kearney.